Some of the tents described in this site are with a footprint, and I normally point this out as a bonus. So what is a tent footprint used for, and why this is a bonus? Keep reading, the answers are below. Kelty Trail Ridge 3 with footprint. But there is more to that, and this brings us back to the starting question. ♦ Footprints are extra layers added underneath tents for protection. As you surely know, many backpacking tents are built from very thin materials in order to save weight. This is why they get so easily damaged by sharp objects on the ground.So you buy an extra lightweight tent to save weight, and then you buy a footprint (which adds a lot of weight) to protect the tent. This may sound illogical but this all still makes sense because you have extra options, see the items below. ♦ One of such options is the so-called fast-fly variant. ♦ In some clever designs, a footprint is there also to create a pleasant ambient. To realize what I mean by that, it is enough to see the picture below, from my text about the Kelty Mirada tools. Those include a tarp, tent, and a footprint. You set a tarp and the footprint, so you have a pleasant space during the day, and you can add the tent if/when needed. Kelty Mirada Tarp and the footprint. The Mirada Tent can be added directly underneath the tarp. In the example from the picture, the tent is half the size of the footprint. So when you add the tent, it covers the brown part of the footprint, and you have extra covered space and extra padded space (the gray part of the footprint) in front of the tent, see more here. ♦ Having a footprint will keep the tent bottom clean. ♦ When you sleep on the ground, you lose 40 – 50 times more warmth to the ground than to the air above you. So a footprint in principle adds a small amount of insulation. 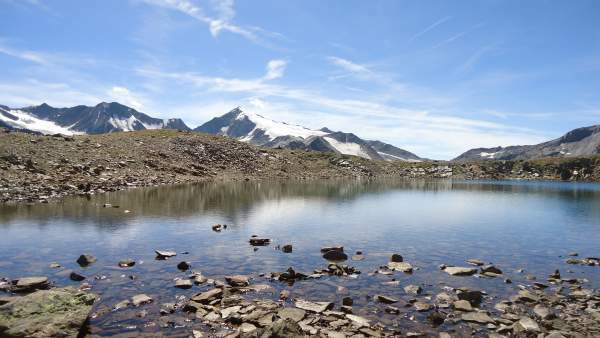 ♦ Footprints are waterproof and they are frequently with a better rate than the tent floor, so by adding such a layer, you add extra protection. Can you manage without a footprint? Most certainly so. If you are on an extended tour where grams count, you will want to reduce the weight of the stuff on your back as much as possible. 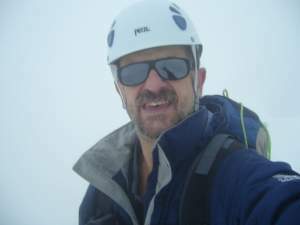 I normally go to the Alps so those are short tours, usually overnight stays, yet I still try to avoid using any footprint. I am always above the tree line, so I try to find places with grass, and in the Alps, you can manage this up to 2700-2900 meters of altitude. Above this you are mainly on rock and having a footprint is a good idea. Brizzisee at 2900 meters above the sea, from my tour to Kreuzpitze in the Austrian Alps. Here, you can still pitch a tent on the grass around, no need for a footprint. I have seen some suggesting using tarps instead of footprints, but this does not look like a great idea. A tarp is a tool for rain protection and you can damage it easily if you put it under the tent. But if you use something else instead of the footprint, make sure that it remains completely under the tent. If such a layer is larger than the tent, it will funnel the rain under your tent and this can cause extra problems. With a proper size footprint, you have no such issues. Many free-standing tents have the so-called fast fly variant in the specifications. This holds even for those tents where you have to buy the footprint separately. So you guess, they want you to spend more on their products. Just see my text about the MSR Huba Huba NX2 tent and Big Agnes Fly Creek UL2. Both of them come without a footprint but see the pictures below. I have explained the meaning of the fast fly option in my separate text, so please have a look. Here just to stress that if you have a footprint, you can use it with the fly and poles and you have a super lightweight option. For example, in the case of the Big Agnes Fly Creek UL2 tent, you have the fast fly variant with 1 lb 7 oz (652 gr). In the case of the Huba Huba NX2 tent, the fast fly variant is 2 lbs 10 oz (1.19 kg). 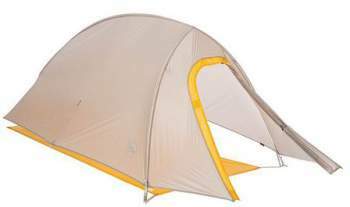 Big Agnes Fly Creek UL1 tent – fast fly variant with footprint. 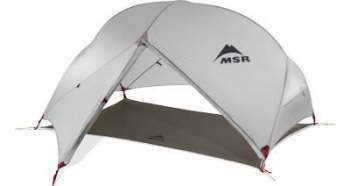 MSR Hubba Hubba NX 2 tent in its fast fly variant. So as you see, the footprint is a bonus also because it adds to the versatility in using the tent. It has grommets on the corners where you can put the poles so you have a stable construction with a full protection from elements (but not from bugs). This is why it is best to use the appropriate footprint which is recommended for your tent, it must be of the proper size to have the poles in a proper position, see the images above. So thank you for reading, if you have any question or suggestion please use the comment box below. Perhaps you might want to see my another text about tent vestibules. I wish you a pleasant day.